Samsung/Hanwha Techwin offers a number of Network video encoder options that will allow users the ability to upgrade their systems to IP and yet continue to use existing analog cameras. 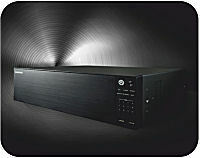 For smaller systems there are one and four channel models, and for larger systems there is a modular system. All of these encoders have the network functionality found in our IP cameras. They feature H.264, MPEG-4, MJPEG multiple CODECs that provide flexibility while conserving network bandwidth and storage. Samsung/Hanwha Techwin encoders, IP cameras, and NVR products do not require the purchase of camera software licenses making installations simpler and lower in overall cost. 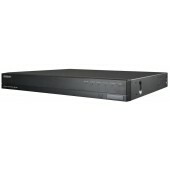 Samsung/Hanwha Techwin offers a standalone 4 channel decoder which provides max. Full HD 1080p video output for a single view and max. HD 720p for quad view mode. Decodes up-to 48 cameras. 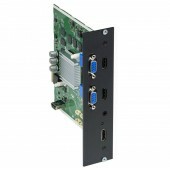 HDMI (1ea), VGA (1ea), BNC (1ea). 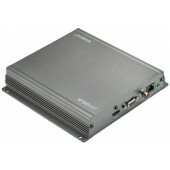 Video Output : HDMI(up to 4K), VGA(up to 1080p). 12MP, 8MP, 5MP, 3MP,1080P, 720P, 4CIF. 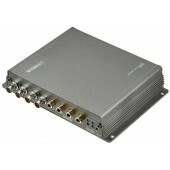 Hallway View Mode (2V, 3V) support- (HDMI) 1 / 4 / 6 / 8 / 9 / 13 / 16 / 25 / 36 / 2V / 3V- (VGA) 1 / 4 / 6 / 8 / 9 / 13 / 16. H.265 / H.264 / MJPEG format. Layout Sequence Support. Max. 4MP resolution. Max. 15fps@4MP, 30fps@1080p . H.264, MJPEG codec support . Multiple streaming (up to 3 profiles per CH) . 10/100/1000 Base-T.
Max. 16 monitors (HDMI 16ea / VGA 16ea) - HDMI / VGA : Clone. Max. 4K resolution support. Video decoding up to 12MP resolution camera. Decoding bandwidth : 600Mbps. H.265, H.264, MJPEG support. Various view mode : 1 / 4 / 6 / 8 / 9 / 13 / 16 / 2V / 3V. Up to 20 Layout sequence per each monitor. Manage using SSM and web viewer. Monitor merge : 1x2, 2x1, 2x2, 2x3, 3x2, 2x4, 2x5, 4x2, 3x3, 3x4, 4x3, 4x4, 3x5, 5x3, 5x2. Max. 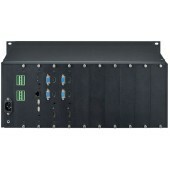 16 monitors (HDMI 16ea / VGA 16ea) - HDMI / VGA : Clone. Max. 4K resolution, H.265, H.264, MJPEG support. Video decoding up to 12MP resolution camera. Decoding bandwidth : 600Mbps. Various view mode : 1 / 4 / 6 / 8 / 9 / 13 / 16 / 2V / 3V. Up to 20 Layout sequence per each monitor. Manage using SSM and web viewer. Monitor merge : 1x2, 2x1, 2x2, 2x3, 3x2, 2x4, 2x5, 4x2, 3x3, 3x4, 4x3, 4x4, 3x5, 5x3, 5x2. Max. 4MP resolution. Max. 15fps@4MP, 30fps@1080p. H.264, MJPEG codec support. Multiple streaming (up to 3 profiles per CH). 10/100/1000 Base-T.